Our office hours are from M-F between 8:30AM - 5:00 PM PST. 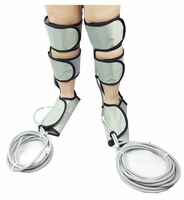 * Intermittent Non-Segmental Compression System - Inflation & Deflation at the same time from Foot to Thigh . Copyright?1998-2010 Apluscareonline.com All Rights Reserved.